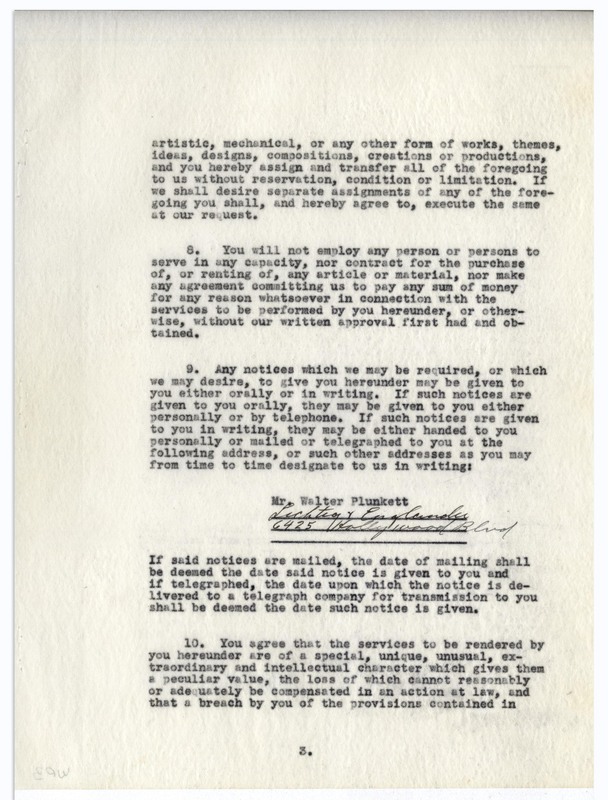 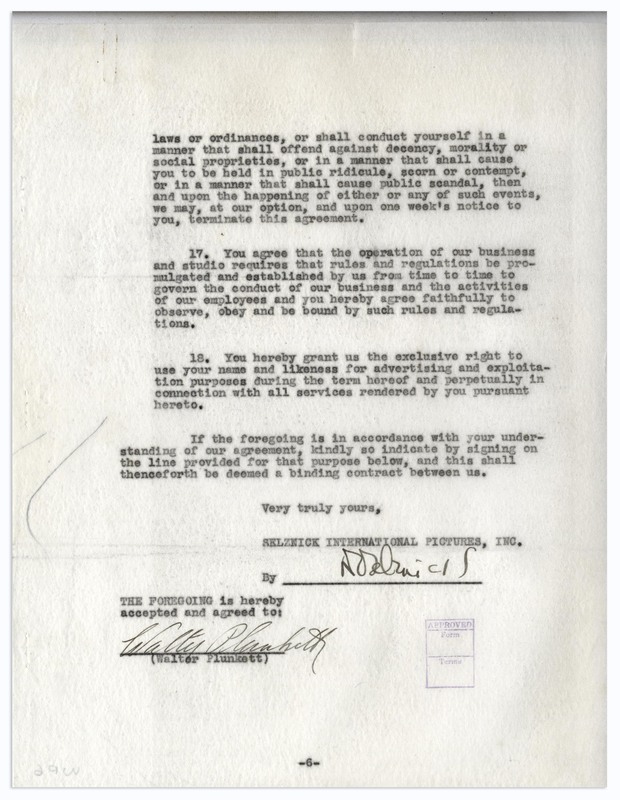 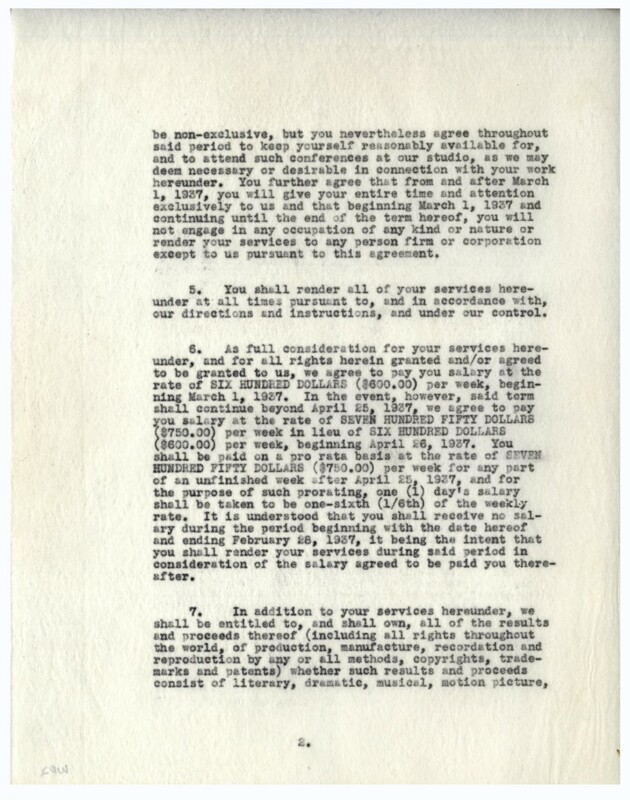 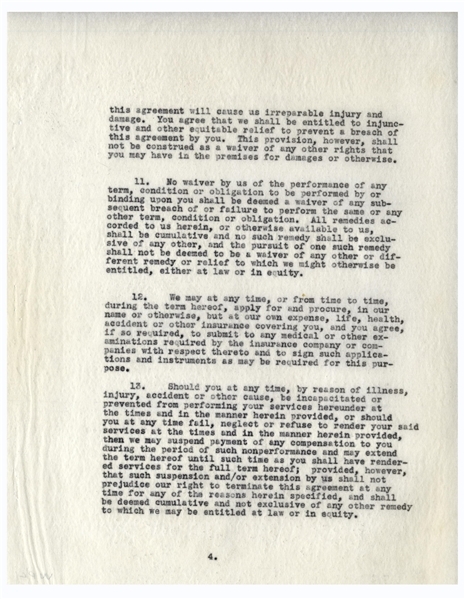 Employment contract from ''Gone With the Wind'', signed by producer David O. Selznick and costume designer Walter Plunkett. 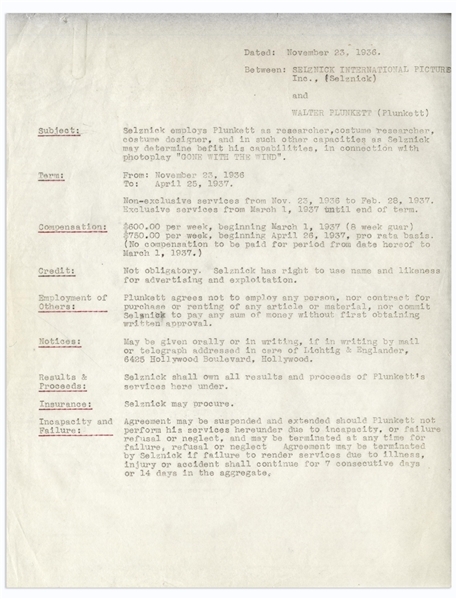 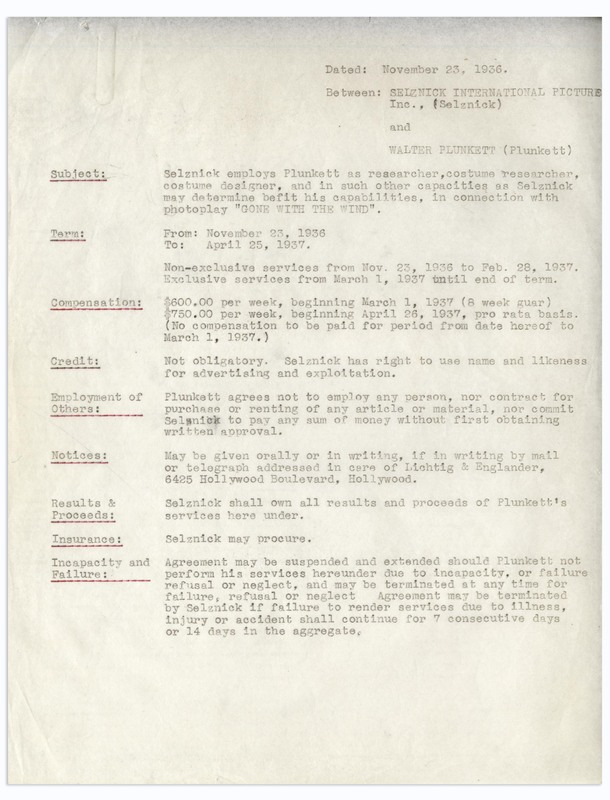 Signed on the last page, ''DO Selznick'' and ''Walter Plunkett'', contract dated 23 November 1936 is summarized on the first page, reading in part, ''Selznick employs Plunkett as researcher, costume researcher, costume designer, and in such other capacities as Selznick may determine befit his capabilities, in connection with photoplay 'GONE WITH THE WIND'. 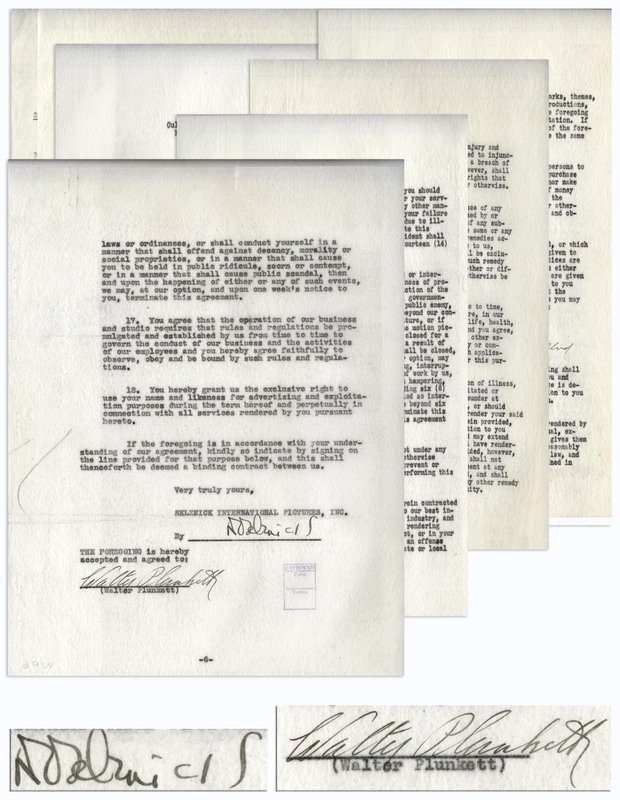 / Term: From: November 23, 1936 To: April 25, 1937.'' 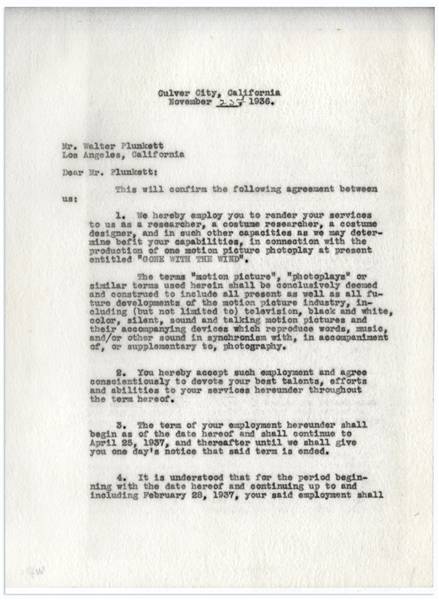 Contract further enumerates Plunkett's salary at $600-$750 per week. 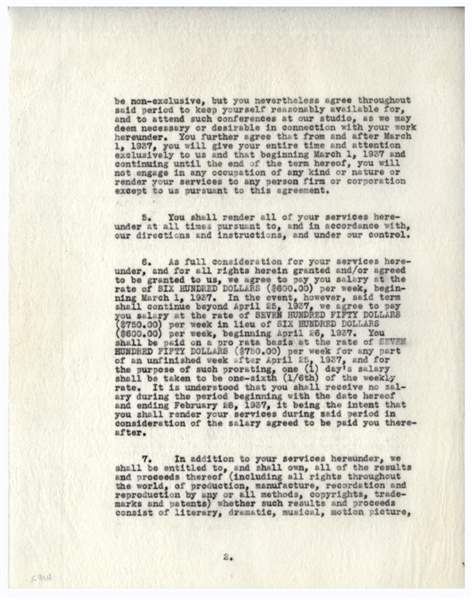 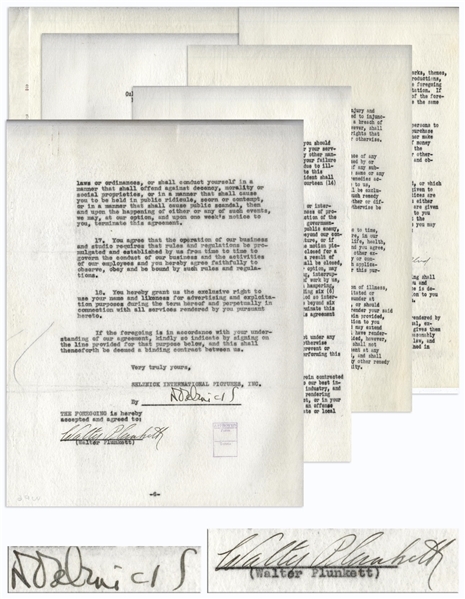 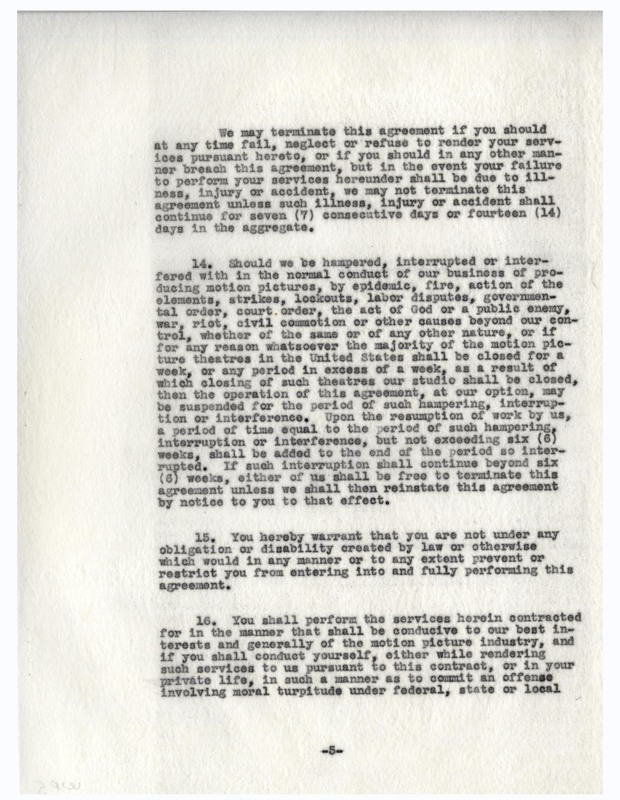 Seven page contract on seven sheets measures 8.5'' x 11''. 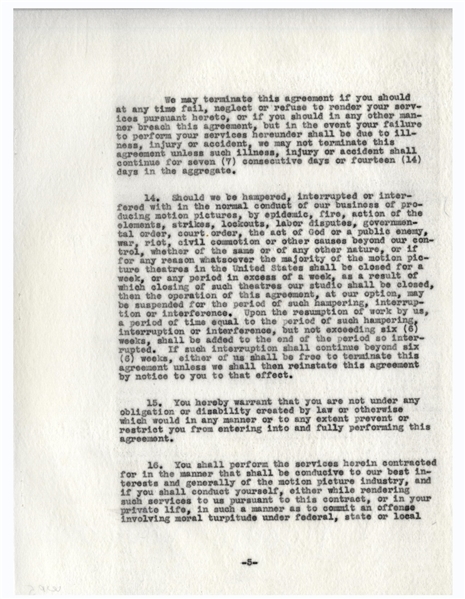 Paperclip impression to a few pages, and small chip to first and last pages, otherwise near fine condition. From the Walter Plunkett estate.